Minimum quantity for "Currants, dried 275g ORGANIC" is 1.00. 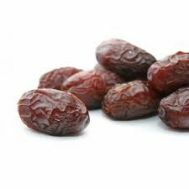 Minimum quantity for "Dates, Medjool (Californian) per kg" is 0.10. Minimum quantity for "Natures Delight Organic Apricots 250g" is 1.00. Minimum quantity for "Pure Harvest Organic Currants 250g" is 1.00. Minimum quantity for "Raisins per kg ORGANIC" is 0.20. Minimum quantity for "Sultanas, per kg" is 0.20.